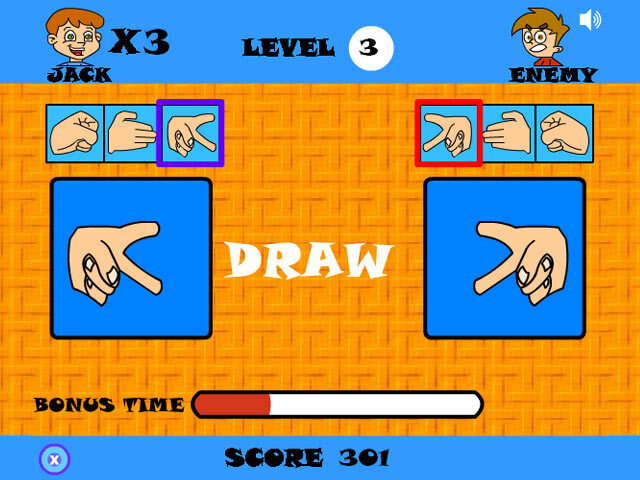 Choose Rock, Paper, or Scissors and defeat your opponent! 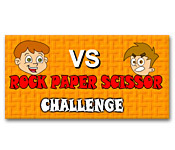 Use your wits to win as many times as you can in this classic game!Choose Rock, Paper, or Scissors!Choose Rock, Paper, or Scissors and defeat your opponent! 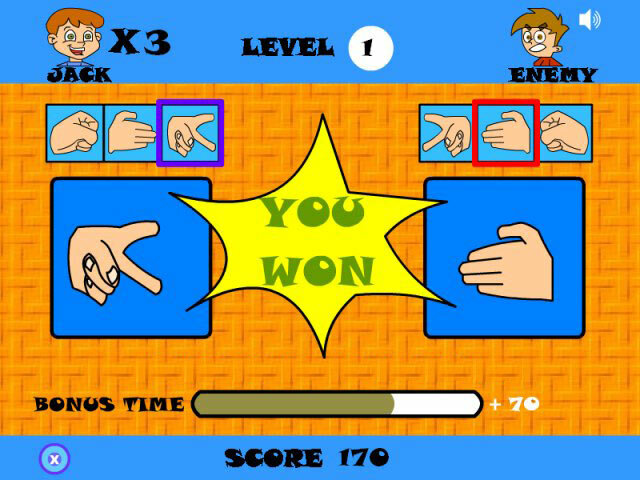 Use your wits to win as many times as you can in this classic game! 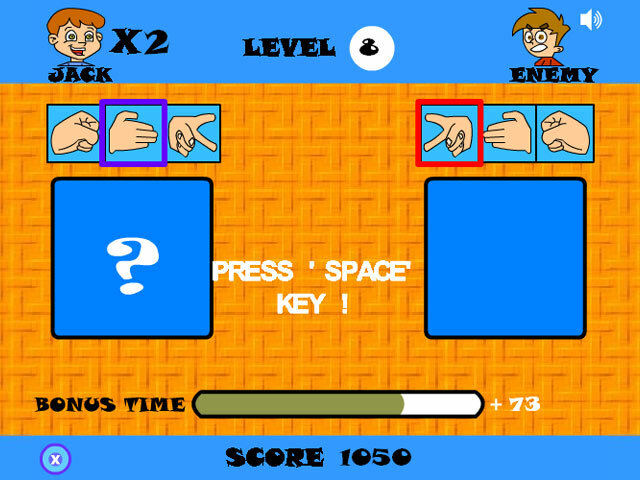 Can you make it to the very end of the game and become the master?